I have relied on you from the womb. What an amazing promise! Our God and Father was there on the day you were born! Many people carry around the feeling that their parents didn't plan their birth, so they feel like their life was an accident. This Bible promise says the exact opposite! Not one person who has ever been born has been a mistake! God planned each birth and was in the delivery room to welcome all of us into the world. If you struggle to feel that you belong in this world, I pray that this promise will go deep into your heart. 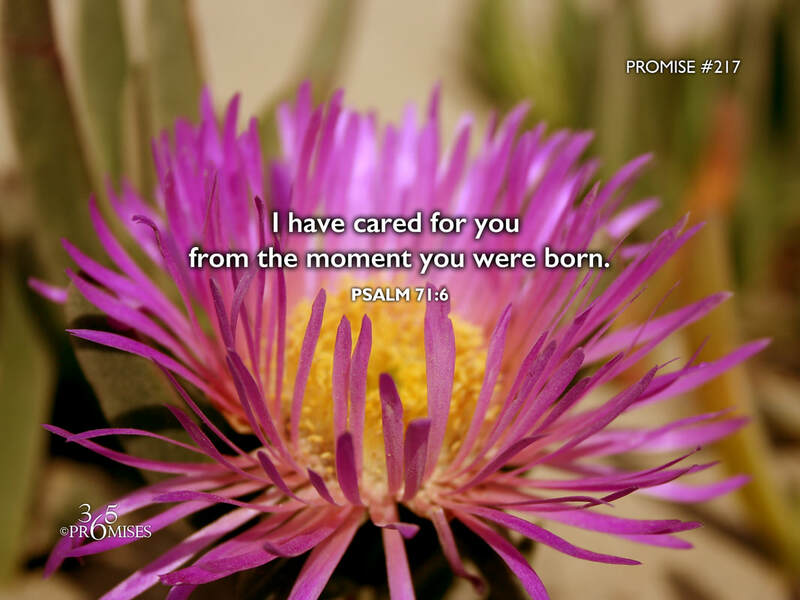 God knit you together in your mother's womb and He has cared for you from the moment you were born until today. And He will never stop caring for you because you are the apple of His eye!